Why is that millions post on social media daily and most all of these posts disappear into oblivion… yet a speech like Martin Luther King’s ‘I Have A Dream’ stands the test of time decades after his words were first uttered? Here, I salute this inspirational world leader by sharing what we can learn from his speech that will enable you to influence your tribe in your next presentation, Facebook Live video or media interview. Dr. King was -and is- an inspiration to all because he stood for something that we can all relate to in some shape or form, and therefore can all rally around: justice. What are you taking a stand for in your life? How are you speaking up about it and enrolling others into your bold vision of what the future could be like? Many leaders today fail to move people to action because their vision doesn’t inspire. You could deliver your message with more impact by setting dreams and goals that seem a tad outlandish and insurmountable to your followers. Of course, it has to be something that when accomplished will change their world for the better. People want to be believe in a better world. They love to believe in a better world. As a leader, when you share your vision of the future, others are much more likely to get behind you and your cause. Rhyme– e.g. “Five score years ago, a great American, in whose symbolic shadow we stand today, signed the Emancipation Proclamation.” (these are my underscores). The use of multiple s’s in this head rhyme makes the sentence easy on the ear. This is my example of a head rhyme! Repetition– the words freedom, nation, dream, and injustice are peppered throughout the speech, anchoring his message repeatedly in the listener’s mind. What key words can you punctuate in your speeches to drive home your main message? Rhythm – “we will be able to work together, to pray together, to struggle together, to go to jail together, to stand up for freedom together…” The rhythm Dr. King uses allows him to build up to a crescendo vocally, and increase the impact. You can bring rhythm to your speeches by varying your tonality, pitch, and adding pauses and strategic crescendos when you speak. Let your words ‘sing’ and enable your listeners to intuitively feel what elements to focus their attention on. Choose phrases and metaphors that resonate deeply with your audience. Paint a picture of your future reality and help people see the potential that lies within to help accomplish it. For instance, most of us would agree we are entering a time in which we can no longer predict what jobs are going to be available in 10, or even 5, years from now. For this reason, I believe, rediscovering our boxed-up creativity through gamulationsin education and in the workforce will be key to up-skilling, driving innovation, and problem-solving. I use the metaphor of bringing the sandbox into the boardroom to paint a picture of what this would look like for businesses. You can immediately visualize what that looks like so it easily makes an unfamiliar concept familiar. and one of my favorites: “We have come…to cash a check” to make the point that they are coming to get what they are owed by the US government. What metaphors can you use to make your complex idea simple to understand for your audience? The way you communicate to your followers can make or break your career. Martin Luther King, Steve Jobs, and John F Kennedy are just a few examples of leaders that delivered speeches that changed the world. 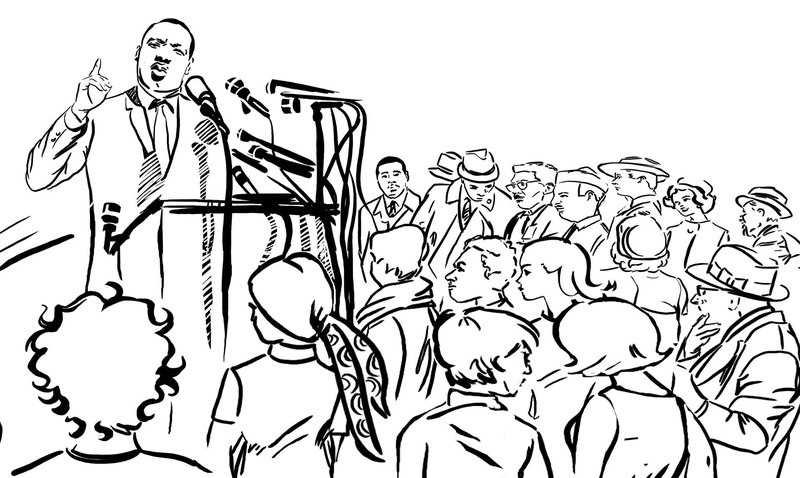 What lesson from Martin Luther King Jr will you use in your next live speech or recorded video to inspire your followers to take bold action?